 In 2016, these Representatives and Senators were at the front and center on veterans’ issues, or were dynamic veterans themselves. 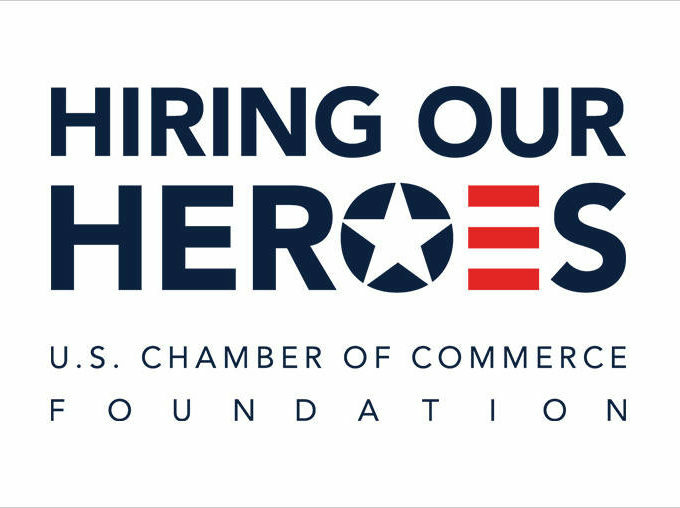 During challenging times at VA, and with more than 15 years at war, these members are on the leading edge of the policies that affect our nation’s service members and veterans. In 1999, upon graduating high school, he enlisted and became an Explosive Ordinance Disposal technician in the US Army. While in Afghanistan as part of Operation Enduring Freedom where, on September 19, 2010, while clearing a path for United States Army Rangers in Kandahar, he was seriously injured in an IED explosion. The explosion resulted in the amputation of both his legs and one of his fingers. While recovering from his injuries at Walter Reed Army Medical Center, he provided explosive and counter-terrorism expertise to several federal agencies. His decorations include the Purple Heart, the Bronze Star Medal, the Army Commendation Medal and the Defense Meritorious Service Medal. Congresswoman Tammy Duckworth currently serves as Senator for the state of Illinois after a successful election in 2016 after having served as it Congressional Representative since 2012. 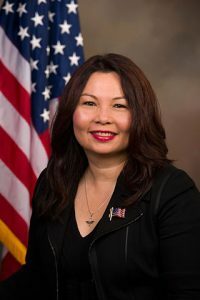 An Army veteran and Purple Heart recipient following injuries she sustained during an Operation Iraqi Freedom deployment where the UH‐60 Black Hawk helicopter she was piloting was hit by a rocket propelled grenade, Congresswoman Duckworth has been and remains a voice for veterans. 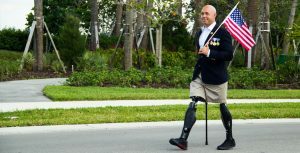 Having lost both her legs and partial use of her arm in service to her country, Congresswoman Duckworth channelled challenge into opportunity and, in 2009, President Obama nominated Tammy to be an Assistant Secretary at the United States Department of Veterans Affairs. There, she headed the department’s effort to end veteran homelessness as well as led initiatives for female Veterans. She also implemented innovative efforts such as creating the Office of Social Media & Online Communications and the Office for Tribal Government Relations. Congresswoman Titus has been the US Representative from Nevada’s 1st Congressional District since 2013. She previously served as U.S. Representative for Nevada’s 3rd Congressional District from 2009 to 2011. Titus was first elected in 1988, Titus served for 20 years in the Nevada Senate, representing the Clark 7th District. From 2009-2011, Congresswoman Titus served on the Committee on Homeland Security. She currently serves on the Committee on Veterans’ Affairs where she is the ranking member of the Subcommittee on Disability Assistance and Memorial Affairs and serves on the Subcommittee on Economic Opportunity. She remains a long time advocate for veterans in Congress sponsoring legislation to expand and improve benefits and in the 114th Congress led the effort to reform both the Veterans Affairs appeals process. 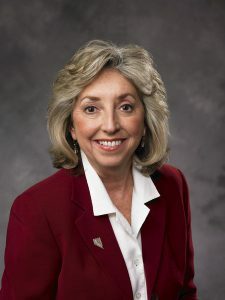 Prior to her election to Congress, Congresswoman Titus was an active professor of political science at the University of Nevada, Las Vegas (UNLV). Senator Tom Cotton currently represents Arkansas in the United States Senate. Prior to his election to the Senate, he worked as a management consultant for McKinsey & Co. and served one term in the House of Representatives. 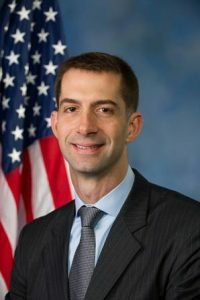 Cotton serves on four committees in the Senate, including the Senate Committee on Armed Services and the Senate Select Committee on Intelligence. Senator Cotton is a graduate of Harvard and Harvard Law School. Following his graduation from HLS, Tom completed a clerkship with the U.S. Court of Appeals and a short time in a private law practice. Tom then joined the United States Army as an Infantry Officer where he spent nearly 5 years on active duty. 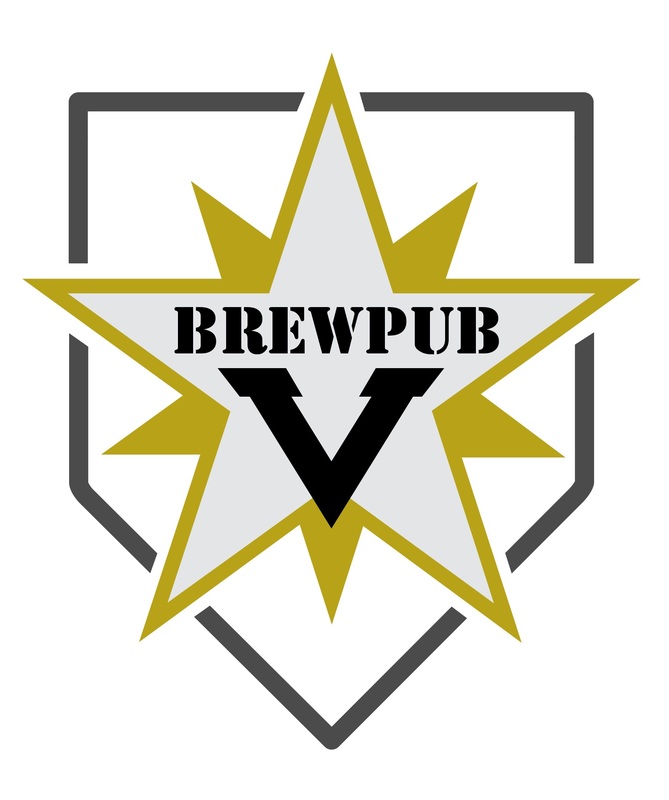 During his time on active duty he completed combat tours in both Iraq and Afghanistan, where he served with the 101st Airborne and as part of a Provincial Reconstruction Team. Between his two combat tours he served as a platoon leader with the Old Guard at Arlington National Cemetery. Tom’s military decorations include the Bronze Star Medal, Combat Infantry Badge and Ranger Tab. 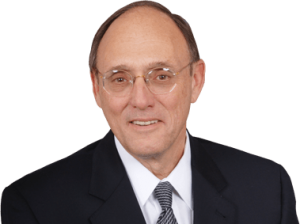 Congressman David Phillip “Phil” Roe has been the U.S. Representative for Tennessee’s 1st Congressional District since 2009, and currently serves as the Chair of the House Veterans’ Affairs Committee in addition to serving on the Subcommittee on Health and the Subcommittee on Oversight & Investigations. Congressman Roe graduated from Austin Peay State University in 1967 and earned his Medical Degree from the University of Tennessee College of Medicine in 1972 before joining the United States Army Medical Corps. He was discharged as a Major in 1974 and went on to a successful private practice in before retiring after 31 years and taking up politics as his new career. 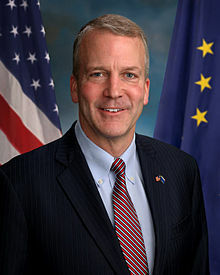 Senator Dan Sullivan has represented Alaska since January 6, 2015, serving on the Armed Services and Veterans’ Affairs Committees. He is also currently an infantry officer and Lieutenant Colonel in the U.S. Marine Corps Reserves adding to his distinguished record of military and national security service. Over the past 21 years, Senator Sullivan has served in a variety of command and staff billets on active duty and in the reserves. In July 2013, Sullivan was recalled to active duty to serve with a Joint Task Force in Afghanistan focusing on dismantling terrorist networks and criminalizing the Taliban insurgency. In 2004, Sullivan was recalled to active duty for a year and a half to serve as a staff officer to the Commander of U.S. Central Command. Senator Sullivan also served in the Administration of President George W. Bush as the U.S. Assistant Secretary of State for Economic, Energy, and Business under Secretary of State Condoleezza Rice. In this role he focused on fighting terrorist financing, and implementing policies relating to international energy, economic, trade, finance, transportation, telecommunications, and Arctic issues. Sullivan also served as a Director in the International Economics Directorate of the National Security Council staff at the White House. 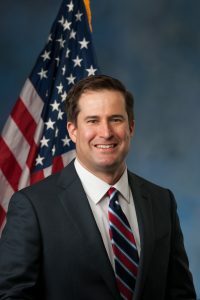 Congressman Seth Moulton is a fast rising star representing Massachusetts 6th District in the US House of Representatives currently serving on the the House Armed Services Committee, the House Budget Committee and House Small Business Committee. Before he became Congressman Moulton, he graduated from Harvard University in 2001 and joined the US Marine Corps a few months prior to the attacks of September 11th. Completing the Officer Candidate School in 2002, he was one of the first service members to enter Baghdad at the start of the Iraq War. In fact, he deployed for the initial invasion in the same battle group as HillVets Founder, Justin Brown. Between 2003 and 2008, Congressman Moulton served four tours of duty in Iraq. Congressman Moulton was awarded the Navy and Marine Corps Commendation Medal for valor for his actions during 2003 Battle of Nasiriyah and the Bronze Star Medal for his actions in the Battle of Najaf. In 2008, Moulton left the Marine Corps as a Captain. After leaving service, Moulton complete a dual degree program from the Harvard Kennedy School and Harvard Business School earning both MBA and MPA. After earning a degree in music from the College of Great Falls in 1978, Jon took over the Tester farm. He also taught music at F.E. Miley Elementary and was also elected to the Big Sandy School Board. Senator Tester was first elected to the Montana Senate in 1998. In 2005, his colleagues chose him to serve as Montana Senate President. 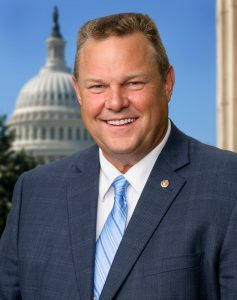 In 2006 and again in 2012, Senator Tester was elected to the U.S. Senate. 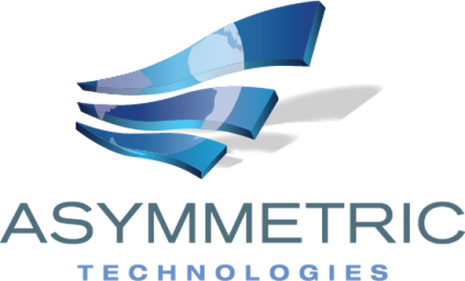 He is an outspoken voice for rural America and an advocate for small businesses who has hosted numerous Small Business Opportunity Workshops across Montana to serve thousands of business owners and entrepreneurs. A champion of responsible energy development, sportsmen’s issues, clean air and water, Indian nations, women’s access to care, and quality health care for all of America’s veterans. In the Senate, Jon serves on the Veterans’ Affairs, Homeland Security, Indian Affairs, Banking and Appropriations Committees. 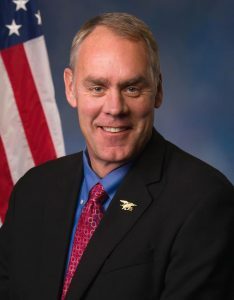 Now Secretary Zinke, first served Montana from 2009 to 2011, as a member of the state Senate. Today he is a U.S. Representative for Montana’s at-large congressional district. During his time in office he supported the Global War on Terror Memorial Foundation to get a post 9/11 memorial on Capitol Hill. He also fought to get other memorials placed in Arlington National Cemetery. In January 2017, President Donald Trump nominated Congressman Zinke for the position of Secretary of the Interior. Zinke’s nomination was approved by a 16-6 vote from the United States Senate Committee on Energy and Natural Resources on January 31, 2017. As a student at the University of Oregon, Congressman Zinke played football and earned a bachelor’s degree in geology. He also has an MBA and MS. A Navy SEAL from 1986 until 2008, he retired with the rank of Commander in 2008. During his time in service, Zinke was awarded two Bronze Stars for meritorious service in a combat zone, four Meritorious Service Medals, two Joint Service Commendation Medals, two Defense Meritorious Service Medals, and an Army Commendation Medal.